As ripe as Nature provides it. As authentic and genuine as we love it. In our kitchen, we proudly use premium produce of known origin and quality. Our Chef de cuisine and his team interpret these treasures of our home region in a creative and yet simple manner. 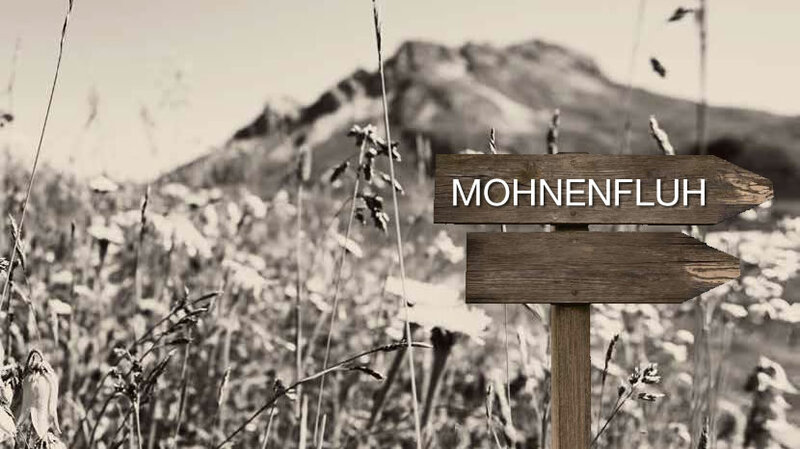 flowering mountain meadows, rushing, crystal-clear mountain streams, powerful soils and farms managed with passion are the origin of our Mohnenfluh cuisine, which has been awarded the AMA Gastrosiegel Vorarlberg. Our partners share our convictions and values, so we can keep up the precious tradition of delicious food, which we can enjoy at our breakfast buffet, on our sun terrace and in the restaurant every day, with comfort and indulgence. The paintbrush of Nature could produce nothing more exquisite and yet impressive than we see here, 1,750 m above the rush of modern life. The beautiful Omeshorn exudes strength of character under the crystal-clear Alpine sky. 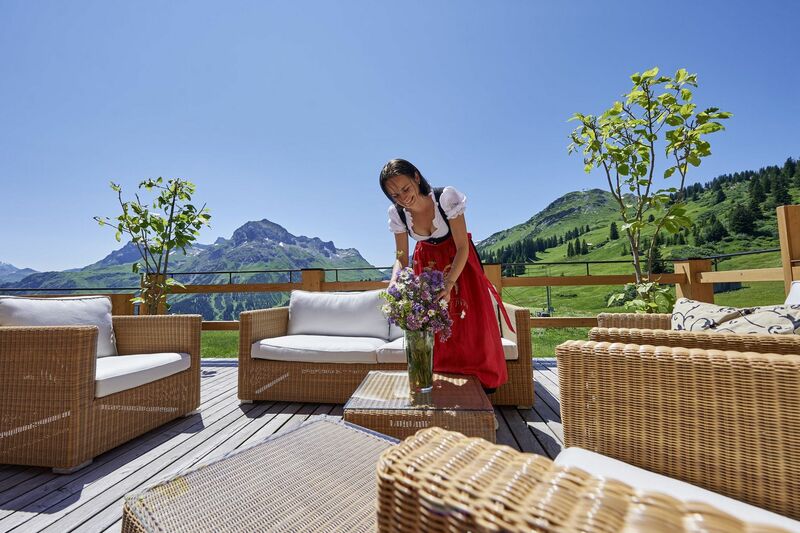 While the surrounding scenery offers its splendours in summer and in winter, we welcome you, hikers, ski fans or those in search of peace and quiet, to what is probably the most beautiful sun terrace in the Arlberg. 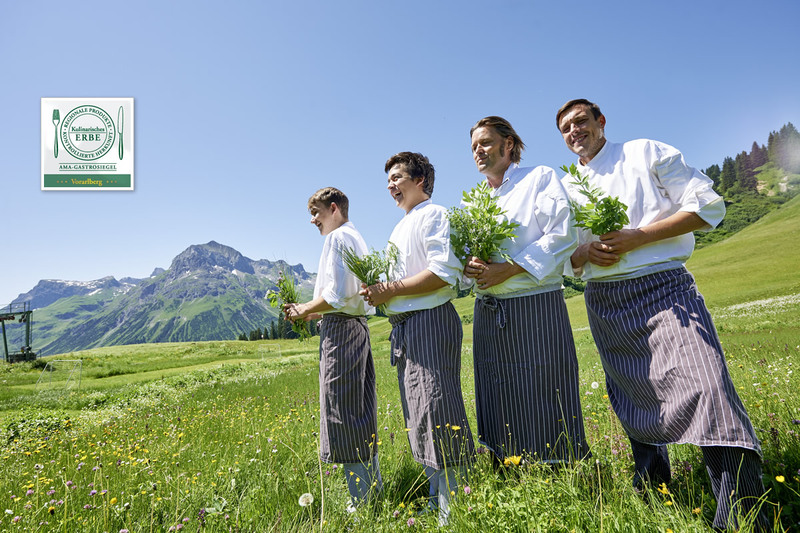 Here, we serve delicacies such as a genuine "Arlberg Marend" between-meals snack, spicy venison sausage, Vorarlberg Kässpätzle (cheese pasta) or home-made Kaiserschmarren pancakes. But a fine saffron risotto, steak tartare and premium filet steaks also taste unique in such scenery. 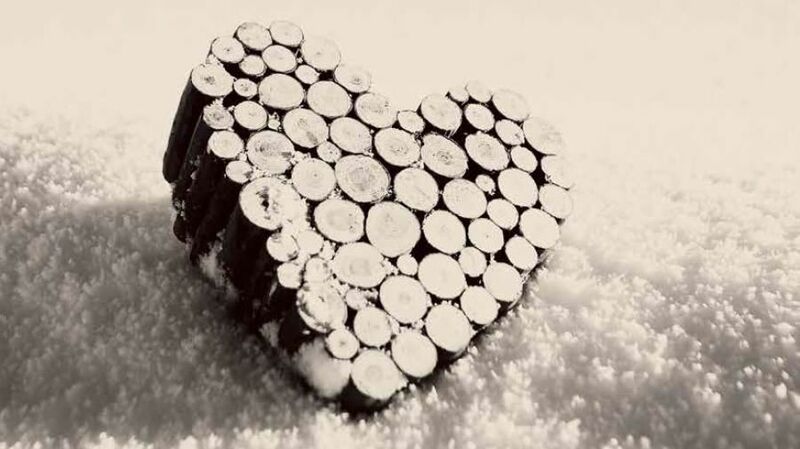 "A drop of something stronger" is an essential for many people. 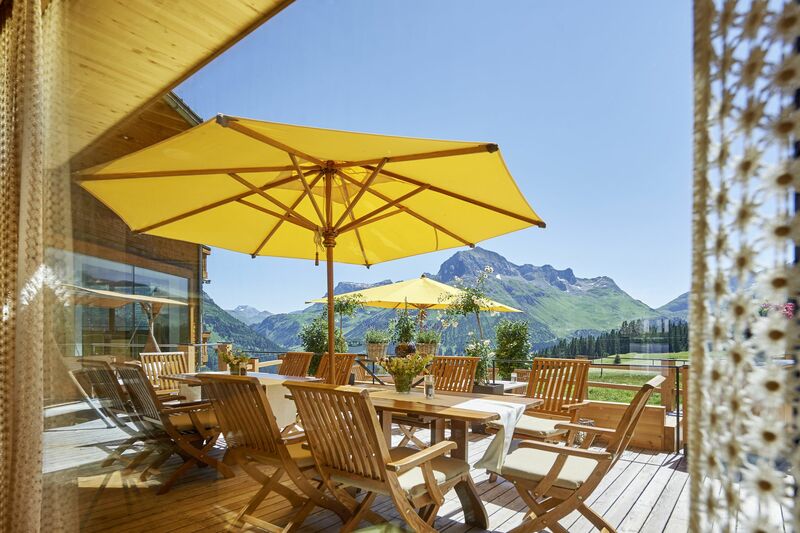 Here, too, we take care to choose the origins and quality and serve premium spirits from the Gebhard Hämmerle private distillery or from the Michelehof. 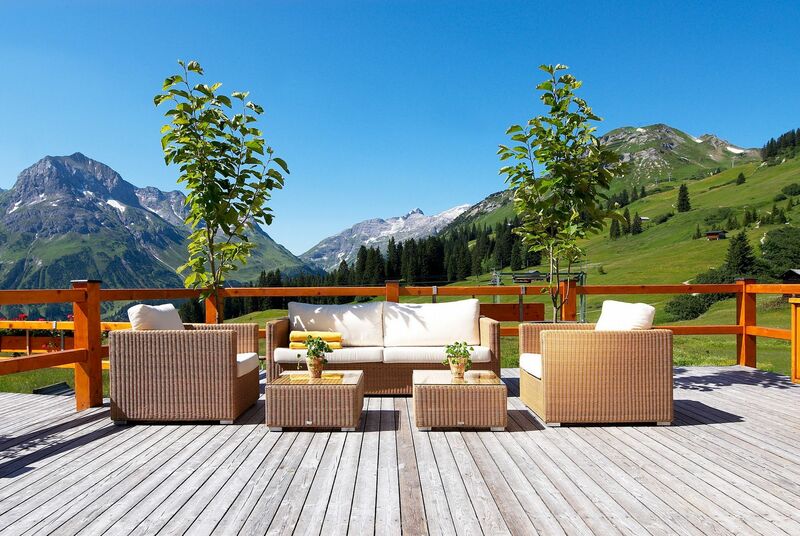 Wide open and simply picturesque, the view is like a picture that, even for us, is always fascinating. If you engage with it, this enthusiasm will remain with you for a long time. Because memories of this place will come back again and again; they want to be enjoyed all over again and bring our treasured regular patrons back to us for repeated visits.